As the popularity of natural wine grows, those on the inside — from winemakers to sommeliers — gather together to eat, drink, and debate. OM dropped in for a taste of the action. 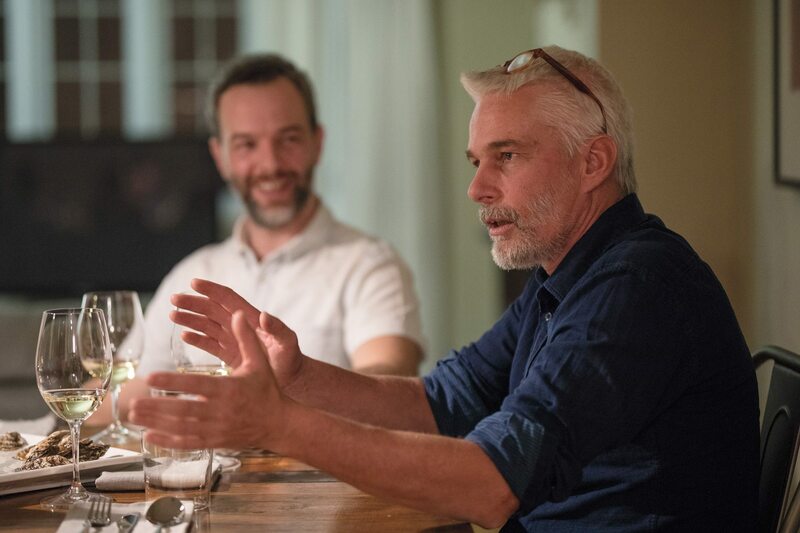 At the head of the table, surrounded by sommeliers from the city’s top restaurants, Frank Cornelissen is a commanding presence. 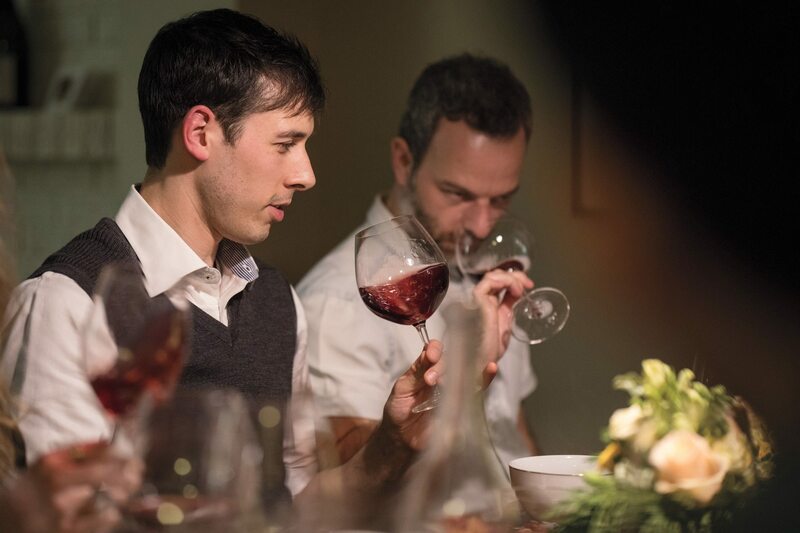 And that’s perfectly fine, because everyone in attendance is eager to ply Cornelissen — a Belgian-born winemaker who produces wine in Italy, and the guest of honour at this dinner party — with questions about his take on natural wine. “The important thing is to not get too religious about it,” says Cornelissen of his approach to natural wine. 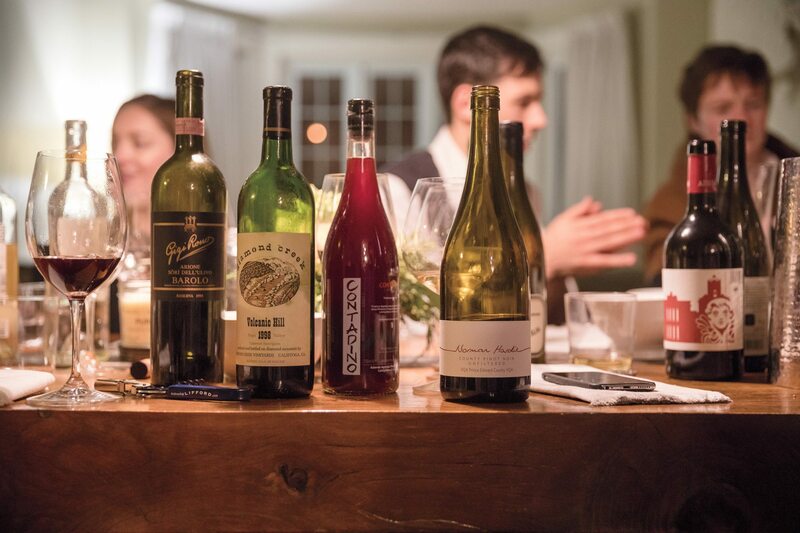 Hosted by Lifford Wine agent Andrew Rastapkevicius in his Hintonburg home this past winter, the table talk quickly turns to Mount Etna, where Cornelissen started making wine about 15 years ago, using a mix of ancient and modern techniques — but always avoiding the use of chemicals. Since then, the popularity of so-called natural wine has developed an international cult following. But Cornelissen is anything but a cult leader. Natural winemaking, he insists, is a means to an end — that end being great wine — not a trend to be followed. The casual setting is perfect for bucking trends. Rastapkevicius is an anti-sales salesperson: when it comes to talking about his wares, he prefers a casual backdrop (tailgate tasting, anyone?) to ticketed winemaker events that can be expensive for everyone. 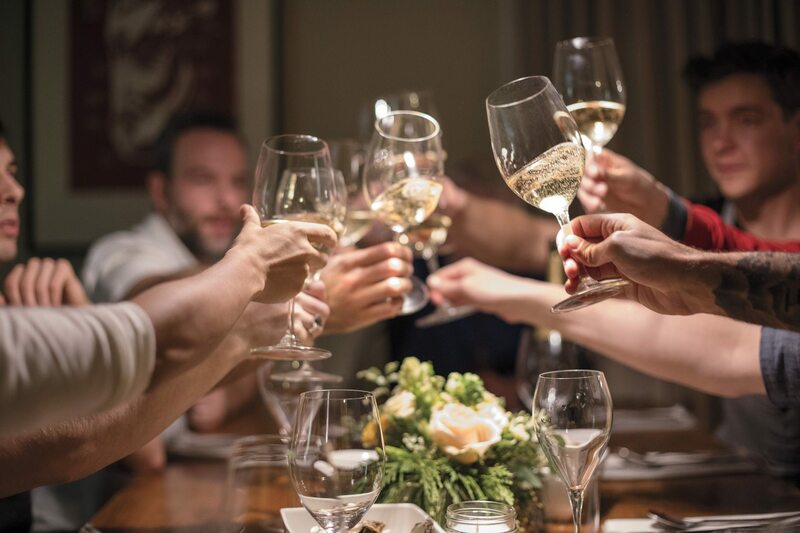 About five years ago, he started hosting these dinner parties as a way to build hype around an exciting product; 80 to 90 percent of his business comes from restaurants, so it made sense to focus on sommeliers. Early in the evening, as guests sipped Hinterland rosé from Prince Edward County and nibbled on Whalesbone oysters, the conversation moved to the issue of defining natural wine — or, more correctly, the lack of one cohesive definition. It’s more of a notion, many say, than a trademarked seal of approval. But everyone agrees on some things: the grapes must be organically farmed. And as a general rule, only naturally occurring yeast is present, which means the sulphur dioxide level is very low. But Cornelissen isn’t overly concerned about the sulphur levels; he’s more concerned about the soil. Jokingly referring to himself as a “whacko naturalist,” Cornelissen tells the group about a job posting, advertised by a traditional vineyard, for a natural winemaker. Guffaws ensue. How can you make natural wine and traditional wine using the same land? It’s clear to him, and to others at the table, that traditional farming practices would contaminate the grapes in a way that would make them unsuitable for producing natural wine. And what does this natural wine taste like? Fruity, flowery, crunchy, and volatile are words that come up around the table as guests sip on Cornelissen’s Contadino. Want to try it for yourself? Good luck. “The ease of access is almost zero,” says McMahon, citing Ontario regulations as a major obstacle. “If you want them, they’re accessible,” argues Rastapkevicius. “But it’s never going to be easy.” It’s the antithesis of Australian Shiraz, which people can identify in a store or on a wine list, he says.